Kevin Lee believes that by the time there is a solution for weight cutting issues, it’ll be too late. Lee has had to use a towel for a couple of bouts before tipping the scales. “The Motown Phenom” missed weight for the first time in his professional mixed martial arts career ahead of his bout with Edson Barboza at UFC Atlantic City. Lee has been pushing for a 165-pound division for a while. Even Lee’s former opponent Michael Chiesa wants a 165-pound weight class. “The Maverick” will be moving up to welterweight after saying he felt like he would die cutting down to 155 pounds for his fight with Anthony Pettis. Chiesa missed weight for that bout. 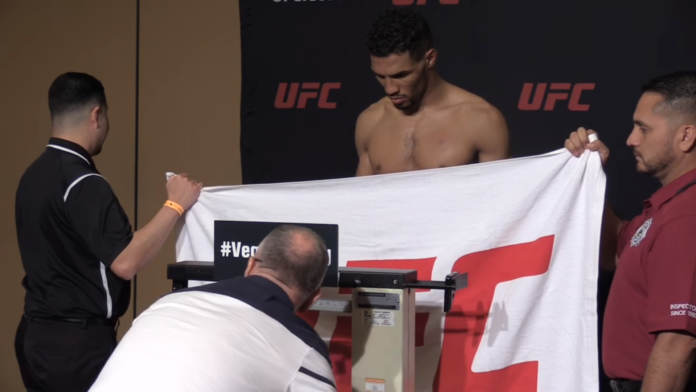 What is your take on weight cutting issues in MMA, and do you agree with Kevin Lee?